INDOOR BOARD - Weather permitting, horses are turned out in small groups in paddocks and in large grassy fields. OUTDOOR BOARD - Includes turnout on grass during the summer, supplemented with hay if necessary, access to water 24/7 and runout sheds in the winter. Grain is extra, paid on how much your horse needs or the amount you would like your horse to be fed. 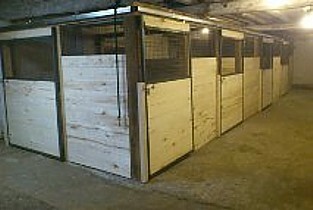 For outdoor boarded horses we will change your blanket if it gets wet or is in need of repair. Boarder must supply thier own Blankets for thier horse. Tanglewood provides a high standard of cleanliness and care, with regular cleaning and maintenance of feed/water buckets, water troughs, (heated in the winter) paddocks, and stalls. 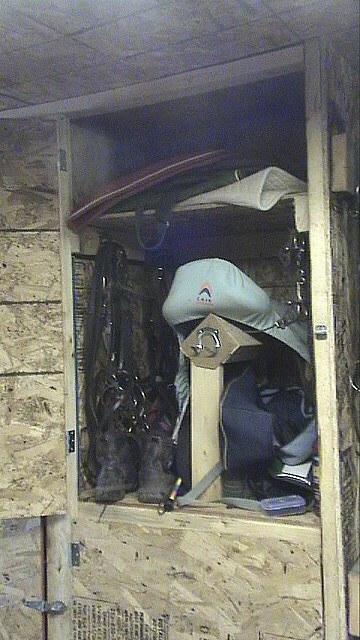 Boarders are provided access to all Tanglewood facilities, and are provided with a tack locker or space for a tack trunk. 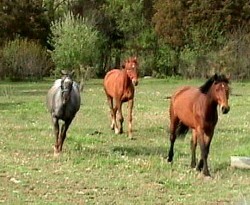 Our breaking and training program is based on bringing the horse along slowly and correctly. 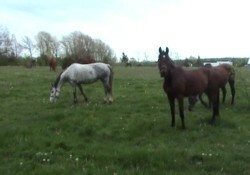 We start young horses slowly on the longe line, developing good manners, and encouraging them to enjoy thier work. Longeing accustoms the horse to equipment, and also teaches the voice commands for walk, trot and canter. If after the first two weeks of handling and longeing, the horse is comfortable and is progressing in his work we will begin backing him. Some horses take longer to get to this point. Backing is done in the arena with a rider and a handler. Once the horse is comfortable with a rider, time is spent focusing on going forward in walk and trot to develop muscles and balance while connecting the rein and leg aids to the voice commands learned on the longe. This is often done following a more experienced horse. If the horse is progressing calmly, we will start to introduce working outside, in a group, alone and hacking with a buddy. 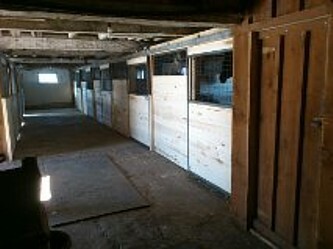 We encourage the owner to have a program in place for the horse when he goes home so his training does not deteriorate. We can work with the owner on a plan that can be used at home. We require a copy of current vaccination records and proof of deworming. Teeth should be checked by a vet and feet should be trimmed approx 2 weeks before coming to Tanglewood. Your horse should be sound and healthy and you should let us know of any past injuries. Please send your horse with a well fitted snaffle bridle with snaffle bit in good condition, a well fitted halter (preferably leather) and any blankets he wears. Training Board rate $794.25 per month with full board. This includes full board with hay, pasture when available, grain to be provided by owner and is fed according to owners instructions. HST is included. 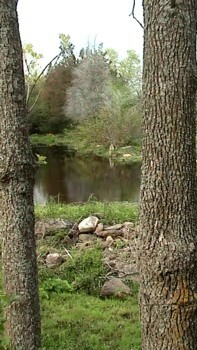 All fees are due on the first of the month. Training Board rate is $653.25 per month with Outdoor board. Horses are individuals some can move onto training board after one month of breaking board and others may need two months of breaking board. This cannot be determined until we get to know your horse and its behaviours. Training board is also good for the broke horse that need a tune up, or work on specific things. We reserve the right to send a horse home after a two-week period if the horse is dangerous or show signs of being unmanageable. Please let us know if there has been a problem with the horse in the past or if another trainer has refused to work with the horse please let us know. In order to work with your horse safely we need to know if the horse has any previous history of rearing up and or going over backwards, bolting, aggressive behaviour such as biting or kicking, panicking, etc.